The PhAT System™ Raman analyzer is a variant of the RAMANRXN1™ analyzer specifically designed to address the limitations of even the best traditional Raman system for quantitative analyses of solid-state chemistries including pharmaceutical, catalysts, polymers, and specialty chemicals. The PhAT approach to Raman sampling redefines solids sampling by eliminating sample irreproducibility and focusing, by measuring a large area of sample simultaneously, and by offering the benefits of non-destructive sampling. Sampling versatility to various unit operations and a variety of manufacturing equipment is accomplished using a fiber-optically coupled PhAT probe head. Both insertion and non-contact sampling options are available for the PhAT probe head to enhance sampling flexibility. 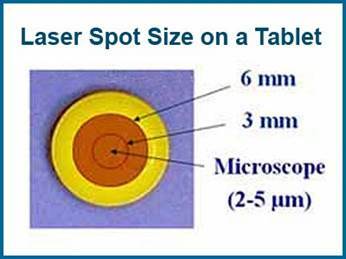 A special probe interface is available for in situ tablet coating applications. 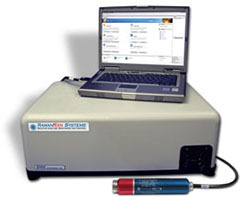 The PhAT System™ Raman analyzer was designed for operations in a general purpose laboratory environment. For production in a manufacturing environment where cleanability is required for both the PhAT probe head and the analyzer, the RAMANRXN3™ PhAT analyzer is available. The advent of PhAT technology has redefined the standard for simplicity and reliability for Raman spectroscopic analysis of solid samples.